Slater Fuchs is a young man that I have known since he was about six years old. Slater and his brother Nicky were adopted by the great Olympian shot put champion Jim Fuchs and his beautiful wife Anne, who was also an incredibly intelligent woman who started and headed several magazines including Town and Country and Vogue. Jim, along with George Steinbrenner, started the Silver Shield Foundation to help the children of police officers killed in the line of duty. Jim, Ann, and Mr. Steinbrenner were so close that when the Fuchs’ adopted Nicky and Slater they asked the Boss to be the godfather, a position he took with great pride. The boys were always surrounded by great love and they could not have had better parents. Jose said that one thing that they both had in common was that Slater and Nicky were adopted by a great family and he (Jose) was adopted by a great country. 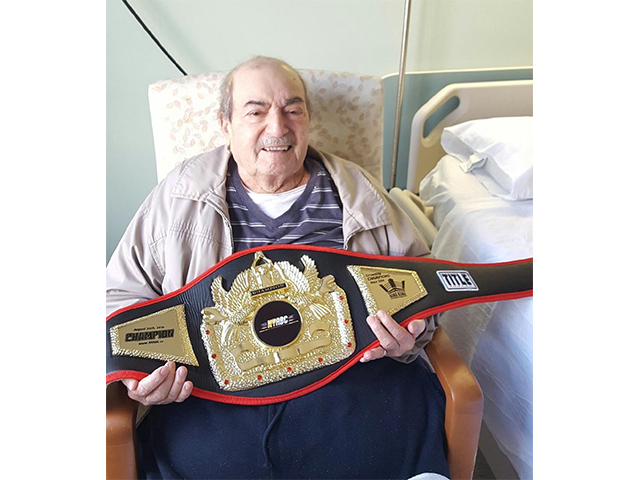 The way Jose delivered the message impacted Slater in such a way that he could not wait to tell his mom about the experience and the wonderful message that he received and needed. This morning my phone rang and it was Slater to inform me of the horrible news that José Fernandez had been killed in a speed boat accident. I felt horrible for baseball. I felt horrible for the Fernandez family, and I felt horrible for Slater because he had grown to idolize Jose and now his hero was gone. I am also happy for Slater because in meeting his hero he was not disappointed. This is a rare thing in this world. Most of the time you are better off not ever meeting your heroes as they sometimes tend to break a lot of hearts. In the short time Jose shared his life with the world as a major-league baseball player all he did was give of himself off the field and extend his heart and soul to so many young people in Miami. That’s who I really feel sorry for. Aroldis Chapman called me tonight from Chicago, with a heavy heart after he had closed the game, beating the Cardinals 3 to 1. All he talked about was how shocked he was about Fernandez and what a great guy he was. He told me about how the year before, Jose becoming an American citizen had influenced him to do the same thing. Chapman said that like Fernandez one of the greatest moments of his life was becoming an American citizen. At that moment he hung up, and I understood. I also spoke with Luis Tiant, the former great Cuban pitcher with the most wins ever in the major leagues. Tiant had been crying. “I only met him once,” Luis said, “but I saw a beautiful person that was going to make baseball better. He was definitely going to get more wins than me when he was done.” Tiant was a member of the 1979 Yankees when we lost Thurman Munson and like everyone on that team felt, the pain and tears were overwhelming. As Tiant would say he never really got over that. His heart goes to all of Jose’s teammates, his family and baseball fans in Miami and all over. 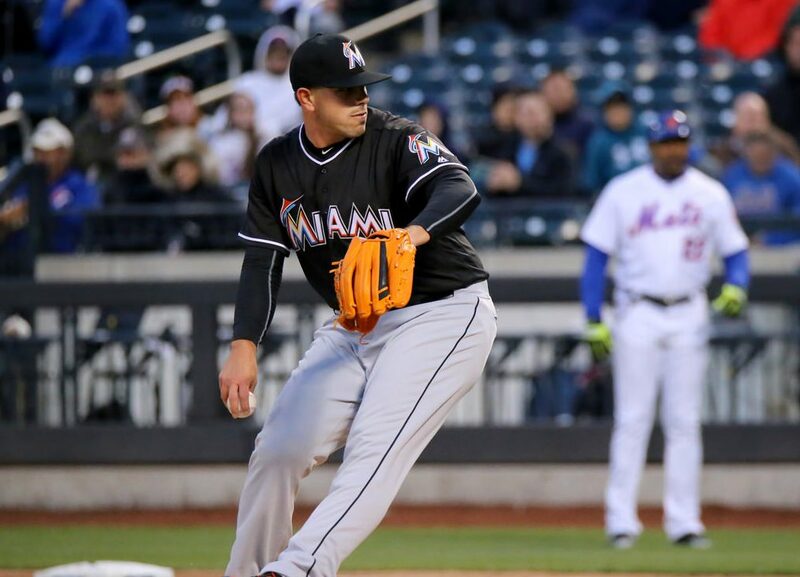 Myself, not knowing Fernandez very well yet witnessing Fernandez with young Slater Fuchs, I can only imagine how many other “Slater’s” around the country Jose Fernandez influenced, yet sadly how many others will never get that chance now. Like James Dean and Elvis and in the baseball universe, Thurman Munson and Roberto Clemente, the legend of Jose Fernandez will stay forever young! Someone recently asked me if I was paid for the stories I write on Newsmax and NY Sports Day. I told them that my rewards are the wonderful memories and lessons that I get to share with the world. I remember being at a college reunion that Mr. Steinbrenner had put together at the old Yankee Stadium. All of the Boss’s old friends from his school and other major universities were there. These very impressive gentleman were talking about their exploits at the schools and I remember being somewhat embarrassed about being in their company since I had only gone to one year of college. Mr. Steinbrenner noticed the look on my face and said, “Mr. Negron put your head up because you have gone to the best school of all.” I asked him what he meant and the Boss said, “You have gone to the University of Steinbrenner.” We all laughed because he was so right. If Mr. Steinbrenner was the president of this university, than the professors were named Catfish and Munson, Piniella and Jackson. The dean of the great college named Martin. Some of the students to graduate were named Jeter and Mattingly, Rivera and Rodriguez. Working for the Yankees all of these years has truly been a great education. The one thing that I always did was to focus on these players more as people than as athletes and I learned a lot about life in general. I was always impressed by the clubhouse people skills of Thurman Munson. In 1976 the Yankees were making their first run at a pennant in years, it would be the first for Mr. Steinbrenner. Thurman Munson knew that in order for us to win, we would need Mickey Rivers to be the catalyst at the top of the batting order. Munson stayed on Rivers all season long, encouraging him and telling him that if he continued at the pace that he was going he would be the most valuable player. Rivers loved how Munson pushed for him and made him feel like he was truly “the big guy.” The Incredible thing was that the better Rivers hit, the more RBI’s Munson was getting. By the end of the season Mickey was so into the team concept that he honestly wanted Munson to get the MVP and he would tell Lou Pinella that he would not have had this kind of season without Thurman pushing him the way he did. Pinella countered that by saying that Mickey was right however they couldn’t have won without him (Mickey). When the season ended and we were beaten by the Reds in the World Series, the last thing Munson did was to stop by River’s locker and he said.” Mickey you were our MVP, thank you.” Mickey, who could have the worst diction in the world sometimes, said clear as day, “I could not have done it without you–thanks big guy.” Thurman gave “Mick the Quick” a big hug. Later that winter, Thurman Munson would call Mickey Rivers because Rivers did not win the MVP- Munson won it. Munson was happy but he would later tell me that for the good of the team it would have been better if Mickey Rivers had won. I thought that this was one of the most unselfish acts that I’ve ever seen in baseball. Mickey told me that Munson literally apologized to him for winning and told him that he (Mickey) was more important to the team. I always like telling the story about Detroit Tiger rookie Lynn Jones. In those days the players weren’t given a lot of free equipment and when he came up to bat Thurman noticed that Jones’ shoes were ragged and worn. After the game, Munson went into his locker and asked me to take a new pair of shoes to Jones. When I delivered them, Jones acted like a kid at Christmas and said. “I can’t believe Thurman Munson would do such a cool thing. I’ll save these forever.” I wonder if 40 years later he still has them. 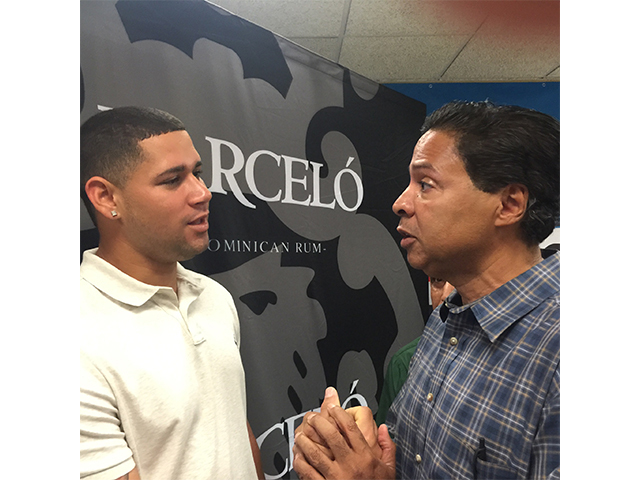 Last week I went to an awards party for some of the “baby bombers” including the new Yankee catcher Gary Sanchez. The ceremony was put together by Toyota of Manhattan to help the Boys and Girls Club. They gave out trophies to these new Yankees. Sanchez noticed that one of the trophies was missing its nameplate. So the player whose name was missing would not be embarrassed, he asked everybody to turn their trophies around, no nameplate would be facing towards the crowd, that way they all looked the same. Everyone started to clap because they all understood the maturity and sincerity of this young man. I would later have a conversation with him and I told him that Thurman Munson would be very proud of him because with Thurman it was always about looking out for your teammates first. I guess the University of Steinbrenner is still going strong. Negron: How Do You Mend A Broken Heart? Barry Gibb wrote this song a long time ago for the wonderful singing group the Bee Gees. I have always heard of the great love that Barry had for his brothers Robin, Maurice and Andy Gibb. They all died of different causes including his baby brother Andy who died of long-term drug addiction. I can only imagine the pain that Barry feels every time he hears this song, how badly it makes him feel especially because of how young his brothers were. Whenever I think of The Boss and Billy Martin I think of the song,” I heard it through the Grapevine” by Marvin Gaye. In that song, there is a part that talks about two guys that he loves very much. If you know the song and you know George Steinbrenner and Billy Martin you would understand. Both men entered the life of a very confused boy at just the right time. The Boss and Billy would be two of the best friends I could ever have. They helped me to understand how much my own father really loved me. You see, my father adopted me at the age of 5 and initially I was upset for a very long time because my biological dad had abandoned me. I could not understand why. It was funny how much alike Billy and The Boss were when it came to talking about their children. I used to love to hear them talk that way because it showed such a different side of them then what people were used to. I felt privileged to just sit there and listen. I used to feel honored when the Boss would ask me to babysit his son, Hal or when Billy would ask me to watch over Billy Jr. When I think of my dad, Cirilo, the song that really hits me is Kenny Rogers wonderful song.” Through the Years.” My father has been very sick for the last two years. He has been to hell and back. He has seen his best friend, his wife Jenny, suffer from Alzheimer’s and has taken care of her all the way through. He has been in and out of the hospital I can’t tell you how many times. I can honestly say that he has never really complained about himself. His whole life has been about taking care of his family and others. Giving to others whether he could afford to do it or not. He taught me a very long time ago not to be jealous of anyone under any circumstance. When I used to come home and talk about the Boss or Billy or Munson or Reggie, he used to be very proud of me because these were my friends. In turn, he was proud of himself because he felt he put me in a position to succeed when the opportunity arose. In my old neighborhood in Brooklyn, everybody loved Cirilo because he helped everyone there. He had a grocery store and if someone was ever short of cash, he would always give them credit, a lot of the time knowing that he would never see the money. I can go on and on but I won’t. He wouldn’t want me to. This week he went back to the hospital and they put him on life-support. Yesterday, my sisters Nancy, Naomi and I had to make a very difficult decision to take him off. This is been the hardest time of my life. Now I really know how the Steinbrenner kids felt when they went through this with the Boss. Each day I cry. I am luckier than my sisters because I get to come to Yankee Stadium for a couple of hours, however each night I go to the hospital and sit in his room and smile with him and make believe that everything will be all right. With each passing day, I thank God that I had another day with him. Each night all he wants is to watch the Yankee game. I will forever thank my wonderful Yankees for being there for so many people in this situation. It’s incredible how so many of the elderly just want to watch the Yankee game every night. I am so very lucky that I got to be picked by this wonderful man to be his son. The way he took care of us- I will always think of him as my own personal Superman whose hope never ends. Well, if you have worked in baseball for the last 70 years you know who he is. T-Bone was a player. He hit his first major league home run off of Virgil Trucks and actually beat Hank Aaron in home runs during the 1953 minor league season. His claim to fame however came as an executive for the Baltimore Orioles, under the great general manager Hank Peters then decided to get his hands dirty and became one of baseballs all-time great super scouts. His baseball genius helped to discover some of the best baseball minds in the business today including Atlanta Braves President Jon Hart, who is probably one of the most respected general managers of all time. Hart’s innovative ways in Cleveland became the manuscript for how teams were run throughout baseball and through it all T-Bone was always there for him. Hart has always said that T-Bone’s baseball genius runs second to the love that he and his family and all people in general feel for him. When Ted Williams museum head Dave McCarthy and Claudia Williams (Ted’s daughter) told me that T-Bone was being enshrined for his lifetime achievement it was one of the great moments of my life. What people don’t know about Tom Giordano is that he was the first executive to help players go to drug and alcohol counseling, during a period when it was very taboo and in turn led to the denial by lots of players with issues. Giordano would be my first mentor in the subject, which would later help me in my assistance to Dwight Gooden and Darryl Strawberry when with the Yankees. When Gooden went to Cleveland, T-Bone insisted that I be allowed to help Gooden there. 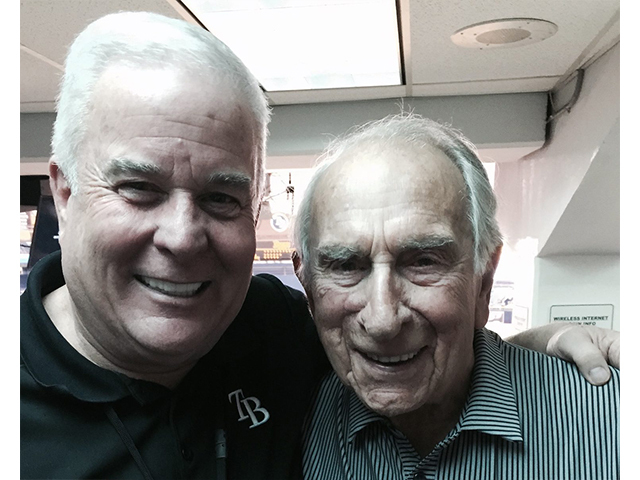 At the age of 91, T-Bone is baseball’s senior full-time scout and still one of the best. Congratulations to Tom “T-Bone” Giordano, for your great achievements in a great game and congratulations to the Ted Williams Hall of Fame for acknowledging the greatness and true soul of a good man. I also congratulate Jon Hart: You never forgot where you came from which is why T-Bone wants you to make the presentation on February 18th at the Ted Williams Hall of Fame induction ceremony at Tropicana Field in St. Petersburg Florida. The great Frankie Valli and today’s Four Seasons are on their way to London to perform at Hyde Park the Prom with the BBC Symphony Orchestra. Musical director Robby Robinson talked about the fact that it is such a great honor. They are expecting over 40,000 fans at the show on Saturday night. Naturally, my question would be if the Queen is expected but no one knows for sure. I am jealous that I can’t be there to share in such an incredible night. It is incredible that the Frankie Valli phenomenon continues to get stronger with each passing year worldwide. The other day, I was watching the movie Goodfellas and in the flick Lorraine Bracco screamed at Ray Liota (who played Henry Hill) for not showing up for a date. “Who do you think you are, Frankie Valli or somebody?” She said. Well ladies and gentlemen Frankie Valli and the Four Seasons are not only somebody -they are a band of about 19 guys who are super special people whom I have grown to love. I can’t wait for them to come to Broadway next month. They will be performing at the Lunt-Fontanne Theatre in New York City on October 21-29th. The members of the band are also big baseball fans, but not all Yankee fans. Craig Pilo, the drummer, happens to be a Red Sox fan but that doesn’t make him a bad guy. Especially since he happens to be one of the best drummers in the business. Not too long ago I happened to be speaking to Paul McCartney and he told me of his excitement in seeing Frankie Valli at an affair in Los Angeles. I understand that there were a lot of incredible superstars there but Sir Paul ran right up to Frankie. How cool is that? I always liked giving little gifts to The Boss George Steinbrenner because he never expected it. The last gift that I gave to him was a CD signed by Frankie Valli that said’ “With much admiration” When I gave it to him, his warm smile told me how much he appreciated it. The last year that he drove, he always kept it in his car. If you haven’t gotten your ticket for the show in October, please do so now because Frankie and the Four Seasons are still one of the best shows anywhere. 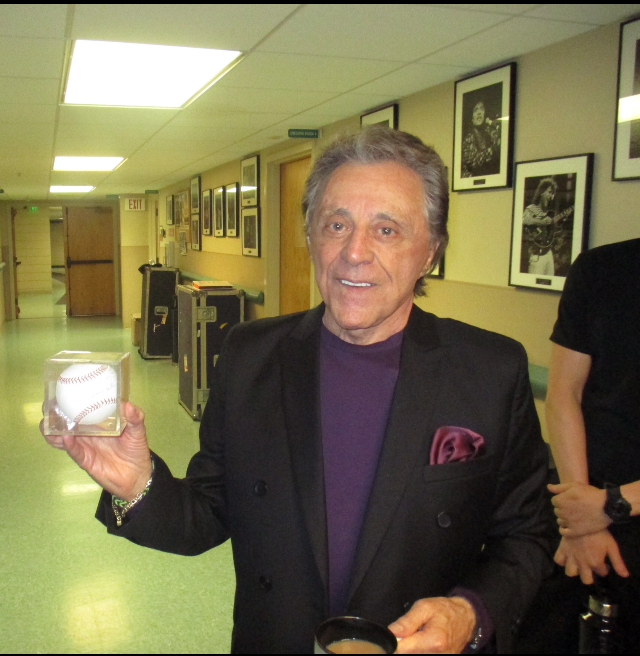 Frankie Valli has always been a Yankee fan and Joe DiMaggio was his favorite player. Wouldn’t it be great to have him and the Four Seasons perform at the Cathedral known as Yankee Stadium. I know that myself and 40,000 fans would be online tomorrow to buy the tickets. Negron: Happy Birthday Richard Gere! Working for George Steinbrenner, I was always so lucky to meet some of the greatest movie stars in history. Frank Sinatra, Cary Grant, James Cagney, you name it. As Grant, who was known as the coolest movie star in the world, jumped up and down drenched in champagne, I actually touched him because I didn’t believe he was real. Grant actually turned to me and said, in his charming English accent, “More real than you know.” Then we started to laugh. A year later, Reggie Jackson came to the Yankees and at that time Reggie was baseball’s version of Clark Gable. He was a baseball player and movie star wrapped into one. At the time, he was doing more commercials than any other athlete. When he asked me to be in his Volkswagon commercial, I got the acting bug. During the Reggie Yankee Era, I probably did eight or nine commercials, including Panasonic Products and Old Spice. That would lead to a co-starring role in a movie for Warner Brothers. It was called Blue Skies Again, which starred Andy Garcia and Joey Gian. I was then offered a part as a glorified extra playing a waiter in the film The Cotton Club, directed by Francis Ford Coppola and starring Richard Gere, Nicholas Cage and Gregory Hines. Can you believe that? 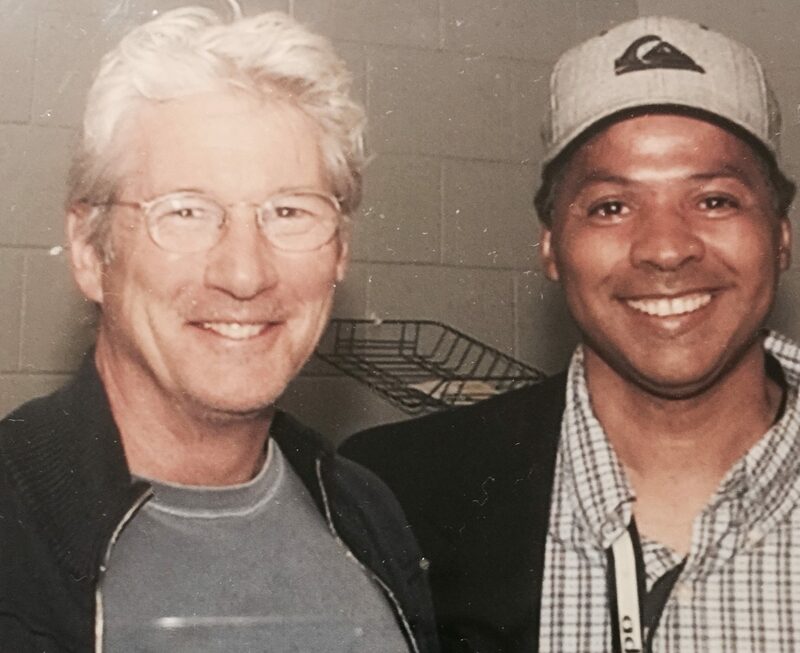 On my first day at the set of Astoria Studios, I was shocked when I first met Richard Gere, who treated me and all the other extras like we were his equals. The amazing thing about Richard was that he was very consistent in his treatment of us. I was also amazed at how hard he practiced and rehearsed. There was nothing Richard couldn’t do. Great actor, dancer and he can play some instruments. Every day, I would watch in amazement at all of this man’s talents. But the thing I loved the most about Richard, just like The Boss, just like Billy Martin and Reggie and Thurman, he treated a kid that came from nothing like somebody. Thirty years later, he is still a great movie star, a wonderful father of his son Homer that Richard loves so much. Selfishly, I say he is my pal. Happy birthday Richard Gere. I don’t know about an officer, but he is sure a gentleman and the Cary Grant of the 21st century. When I was about four years old, my mother and father were getting ready for divorce. The biggest argument was who was going to keep little Ray, you know, me. My father’s ego was the reason he wanted to keep me. My mother would not have it. A physical fight broke out and after he beat her, he kidnapped me to Cuba, where he was born and had family. My father was in the Air Force, on leave and he was ready to spend the rest of his life with me in Cuba if my mom was going to press charges on him. However, when we got to Cuba, his mother told him that my mom was not going to press charges. Instead of taking me back to New York, he left me in Cuba with family and reported back to his Air Force base in Ohio. It took my mom almost six months to raise the money for two airline tickets from Cuba to New York. I believe this was 1959, just before Castro took power. My mom put her life at risk to make sure her little boy got out of Cuba. Years later, she would tell me about the ordeal and I asked her why she did it. She would say that number one, I was the love of her life and number two, I deserved to be an American citizen. Had I stayed in Cuba, I would have lost my last true freedom as a man. That period of my life has always helped me become a better parent to my four children, who are multicultural. They are Latino, Italian and African-American and, may I add, very proud of it. As a father, it makes me honored to see their pride in their backgrounds. One of the most important things that happened to me was I once saw an interview with Desi Arnaz, probably one of the most influential entertainers to come out of Cuba. Most of you know him as Ricky Ricardo from the show I Love Lucy. Ed Sullivan was interviewing Desi and Lucille Ball. Desi said that none of the great things in his life would be possible if he was in another country and then he started to cry. As I watched this interview, I started crying too, because I truly understood what he meant and at that point, more than ever, I was proud to be an American citizen. Desi Arnaz would forever be one of my heroes. 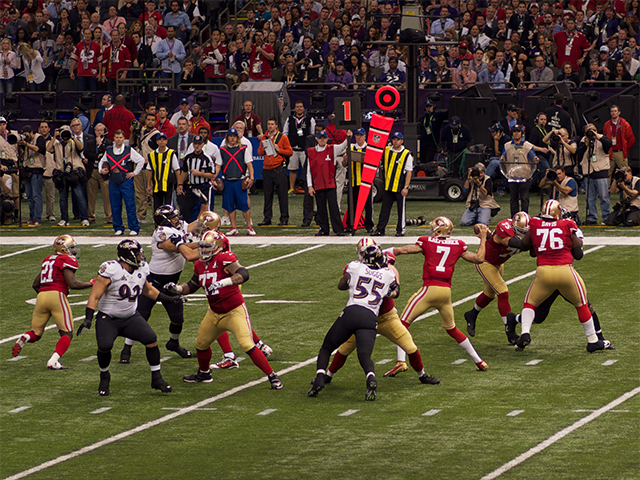 When I heard about Colin Kaepernick of the San Francisco 49ers and his refusal to stand up for the National Anthem, I got very sad for the message that he was sending to kids everywhere, the mixed message he was sending to both black and white and the message he was giving himself. I say this because ten years from now, he will ask himself why he did that and frankly, you can’t get it back. My brother, what other country can you have the kind of life you are living? You are lucky you don’t have The Boss that I had, because you would not be employed any longer. The Forefathers of this country don’t deserve that blatant disrespect. You are being a follower and not a leader. It’s not too late to do the right thing. As a dad, I beg of you, for the kids of this country that love football – and maybe love you – the next time you hear the National Anthem get your rear-end up. That will send a wonderful message.